Aguas frescas (or Spanish “cool waters”) are made by combining fruits, flavors, sometimes seeds and flowers with a bit of sugar and water to make a light non-alcoholic beverages. They are popular in Latin American countries – and I’ve been trying some recipes since Seattle is back in the close to 90 degree range. 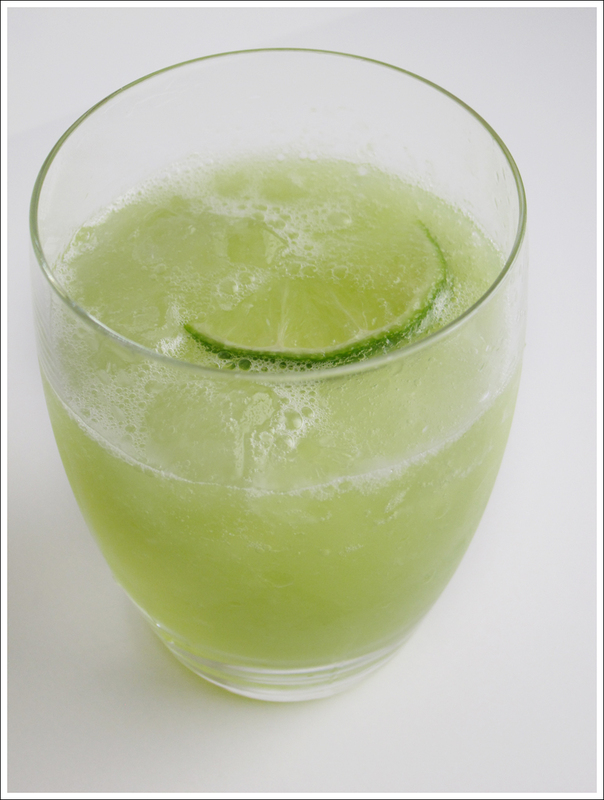 This Honeydew-Lemongrass version is totally refreshing! Don’t have lemongrass? No problem, try a tablespoon chopped basil, mint or tarragon! Combine 1/4 cup water, sugar or agave and lemongrass in a saucepan; simmer for 3 minutes. Remove from the heat, cover and steep for 15 minutes. Remove lemongrass. Blend together honeydew, lime juice and remaining water. Add sugar syrup, to taste. Strain and serve over ice. This entry was posted in Dairy and Soy Free, Drinks, Gluten Free and tagged agua fresca, caribbean, drink, fruit, honeydew, lemongrass, melon, mexican, mexico, raw, summer, sweet, treat, vegan, vegetarian on July 29, 2015 by ebchr.